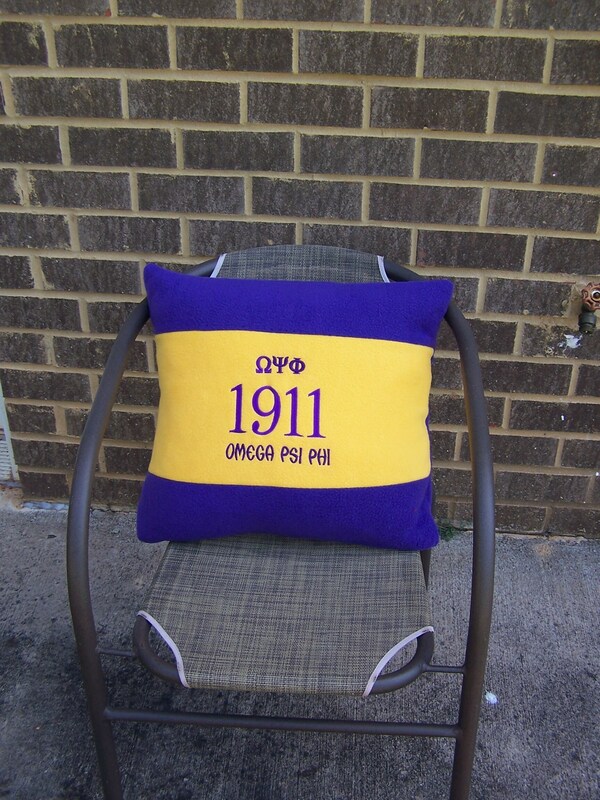 15" purple & gold polyester fleece pillow embroidered with Omega Psi Phi Greek letters and founding year, 1911. Purple embroidery on gold middle section of pillow. Pillow has envelope back closure for easy removal. Both pillow cover and pillow are washable. 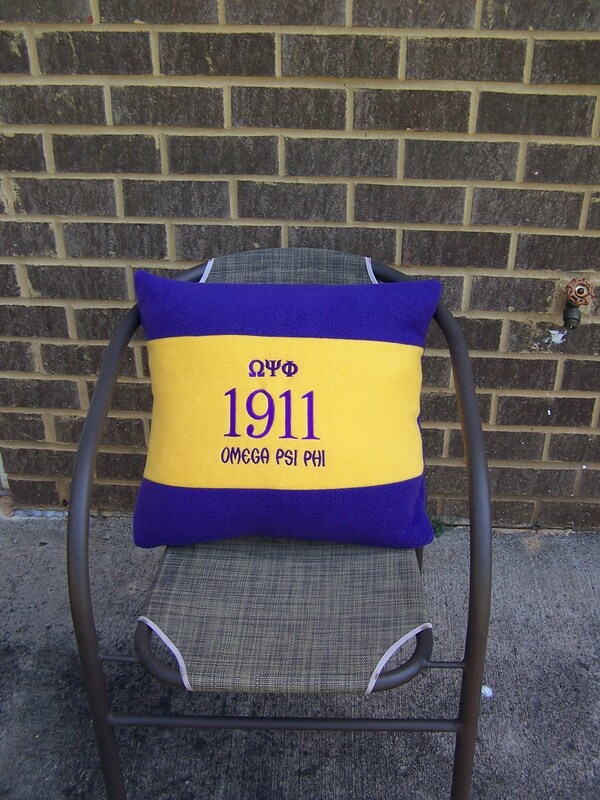 Perfect gift for your favorite Que Dog. Great decor for that man cave, college decor, dorm decor, living room, den. Even great to keep on the back seat of his vehicle. 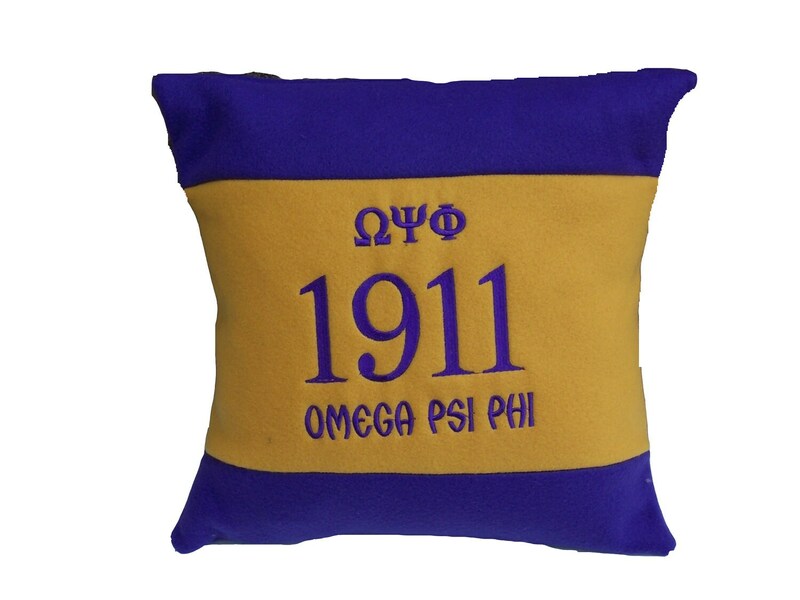 This item can be customized with your organization's colors, Greek letters and founding year. Just send us a conversation/message with your requested customization. We have a wide varitey of fabric and thread color choices available. We usually can produce customized items in 1 or 2 days. Please allow 3 to 4 days production time for customized items during the Holiday Season. SHIPPING: This item will ship via USPS 1st class mail from the Atlanta GA area. Please allow up to 4 days transit time.